Prominent & Leading Exporter from Daman, we offer aluminum motor winding wire. 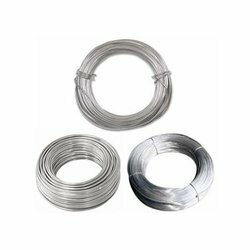 We are one of the Leading manufacturer, supplier and exporter of Aluminum Motor Winding Wire in India. We offer Aluminum Motor Winding Wire that are used to wind various kinds of motors. These wires are available with better Thermal Capacity and diameter. We trade these Winding Wires in various parts of the world at competitive market prices. These are available in several specifications as per the ISO Standards.